Last updated by kprzemek on 2019-04-18. Originally submitted by stomasz on 2019-04-14. 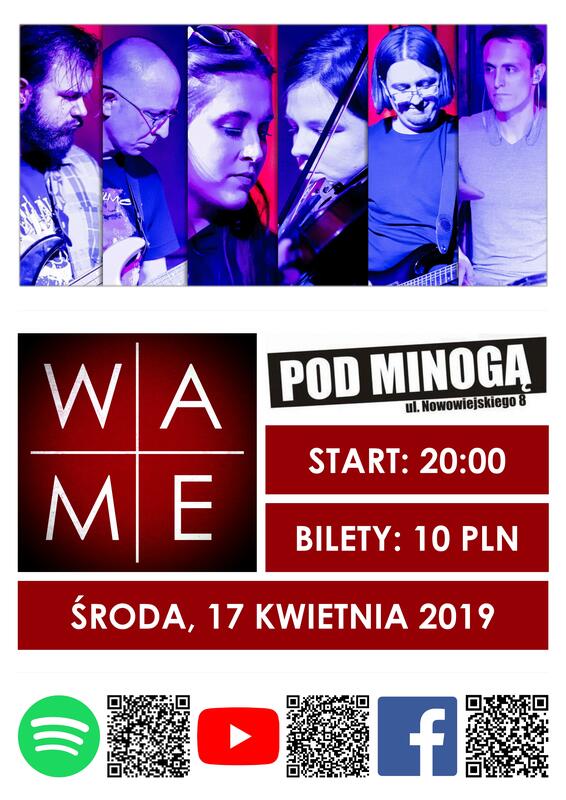 On 17 April at 20:00, WAME will be performing another concert at Klub Pod Minogą (Nowowiejskiego 8), playing a full set of their original material, including a selection of brand new songs (plus something special!). Admission: 10PLN. Follow WAME on Facebook.